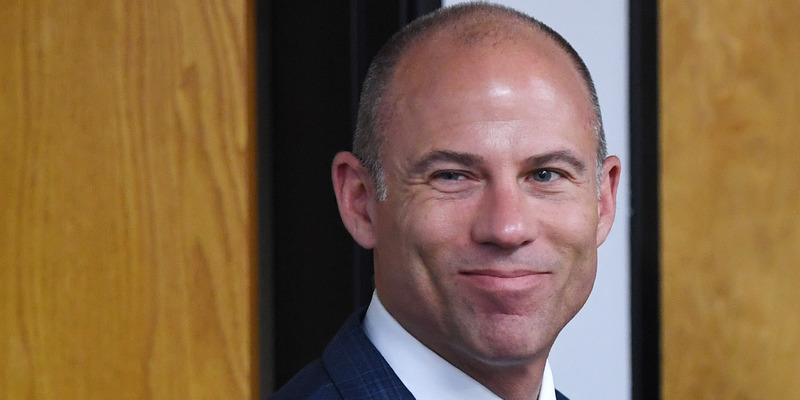 “Once again, we have been proven right,” Avenatti told Business Insider in an email. The reference to “false accusations” is a tweet Trump posted late last month after Avenatti revealed Washington, DC, area resident Julie Swetnick as his client accusing Trump’s Supreme Court nominee Brett Kavanaugh of sexual misconduct – an allegation Kavanaugh strongly denies. “Avenatti is a third rate lawyer who is good at making false accusations, like he did on me and like he is now doing on Judge Brett Kavanaugh,” Trump said in the tweet. Citing people familiar with the events, The Journal reported that Trump told Cohen to seek a restraining order that would prevent Daniels from going forward with a TV interview where she would detail her alleged affair with Trump. The Journal reported that Trump told Cohen to coordinate the effort with Eric Trump, who is also a top Trump Organisation executive. The Journal had reported one month prior that Cohen, days before the 2016 presidential election, arranged for Daniels to be paid $US130,000 to silence her allegation. Once reported, Cohen initially said that he handled the matter alone, paying Daniels out of pocket. Trump denied any knowledge of the payment in April, but admitted to reimbursing Cohen in his May financial disclosure report. In August, Cohen pleaded guilty to eight federal charges, including two related to campaign-finance violations – one of which stemming from the Daniels payment. Cohen said he made the campaign-finance violations at Trump’s direction. The Journal reported Tuesday that Trump suggested in a phone call that he would cover the costs for any legal action against Daniels to ensure her silence, saying “I’ll take care of everything,” a person familiar with the conversation said. Daniels would go on to give an interview to CBS’s “60 Minutes” in March. She would also sue Trump and Cohen to void the non-disclosure agreement she signed. Last month, Trump and Cohen said they would no longer enforce the NDA.